The winners of the inaugural Jennifer Burke award (2009) were the Trinity College Dublin (TCD) Bridge to College (b2c). This initiative aims to provide students from disadvantaged secondary schools with an innovative learning experience facilitated via technology. Deborah was nominated for her use of games as a weekly revision tool for students at Griffith College. 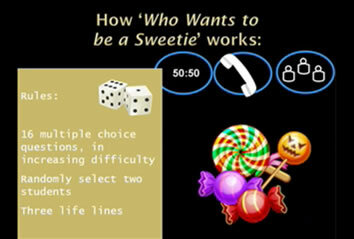 Two games: ‘Jeopardy Karaoke’ (a combination of the quiz show ‘Jeopardy’ with Karaoke) and ‘Who wants to be a Sweetie’ (A version of the quiz show ‘Who wants to be a millionaire’ where the prizes are sweets, instead of cash) were used to motivate and engage students. 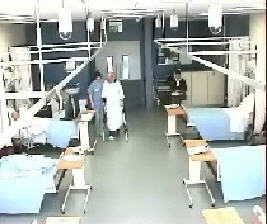 This simulation exercise, carried out in DCU’s clinical skills lab, aims to address the concerns of student nurses about their role transition from student nurse to staff nurse. Students have the opportunity to develop their shills in managing a caseload of patients and prioritizing patient care. 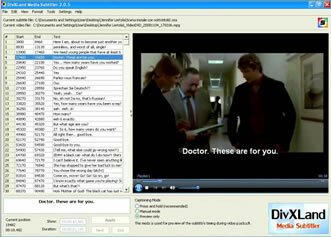 Jennifer used involved students in using subtitling software to subtitle authentic Italian film in order to develop their language proficiencies, listening skills and translation competencies. This innovative method immersed students in realistic language through a medium that is not specifically designed for learning, allowing them to encounter a range of language dialects, speeds and styles. The HerrXFile is an exercise aimed at students who are learning word-processing. It was devised using a program that converts an image into a pixelated image graphic made up of text characters. Using step-by-step instructions students format a document using their knowledge of word-processing in order to reveal the identity of the mysterious HerrX. Yvonne’s entry centered around the importance of promoting creativity at third level. She focused on the need for more assessment for learning. In particular she highlighted the production of e-media, for example, podcasts, video, comic strips as forms of assessment and how the production of these multimedia resources can engage students in their own learning and help to reinforces concepts that maybe otherwise be quite difficult to grasp.